Are you looking for the perfect Valentine’s Day gift? We feel your pain. It’s hard to come up with something truly unique or a gift that isn’t corny, right? And on top of that: some men just have everything. And by everything, we mean everything. Not to worry though, this Valentine’s Day, Oh My Got Cufflinks has got you covered. Have a look at our selection of design cufflinks below. He will love them! And he will love you for gifting them. Clothes make the man, cufflinks seal the style. Our elegant diamond cufflinks are a unique accessory and an exclusive gift. 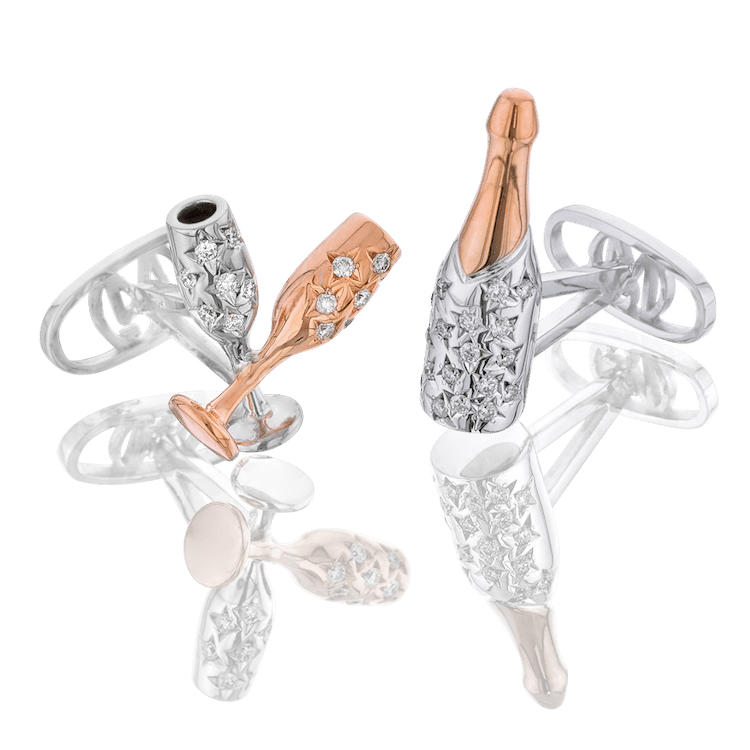 Each pair is designed and handcrafted in Antwerp, diamond capital of the world, and set with natural diamonds. Our cufflinks are also delivered in a handsome presentation box that includes a certified record of the diamonds and of the cufflinks received. Thanks to this globally respected IGI certificate, your partner or husband knows exactly what he gets: top quality cufflinks that will retain their value for generations to come. So, are you looking for the perfect gift? Look no further than Oh My Got. Sometimes, you just want a kiss to last forever, right? With these cufflinks, he’ll carry your kisses all day long, even after Valentine’s Day. ‘Eternal Kiss’ is a beautiful, handcrafted 18K gold pair of cufflinks, containing 2 diamonds and 218 rubies. If you play your cards right, you’ll spend a memorable Valentine’s Day together. Don’t worry though: with this gift, you’ll have the perfect ace up your sleeve. 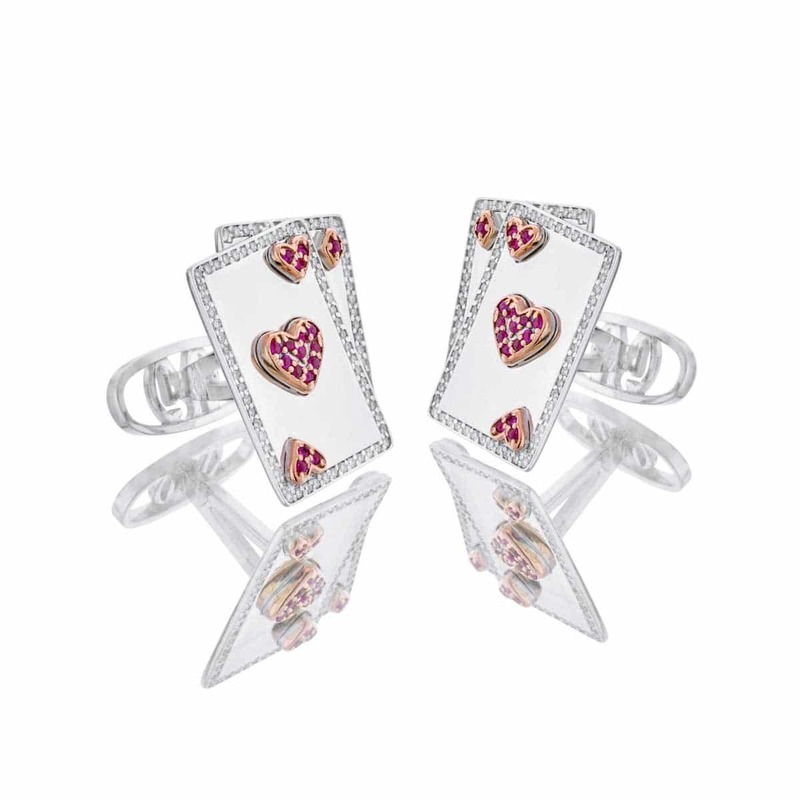 ‘The Ace of Hearts’ is a playful 18K gold pair of cufflinks, containing 188 diamonds and 34 rubies. Valentine’s Day is the perfect opportunity to wish him all the luck in the world. So why not give him these beautiful four-leaf clovers as a gift? They truly are the rarest of good-luck charms. 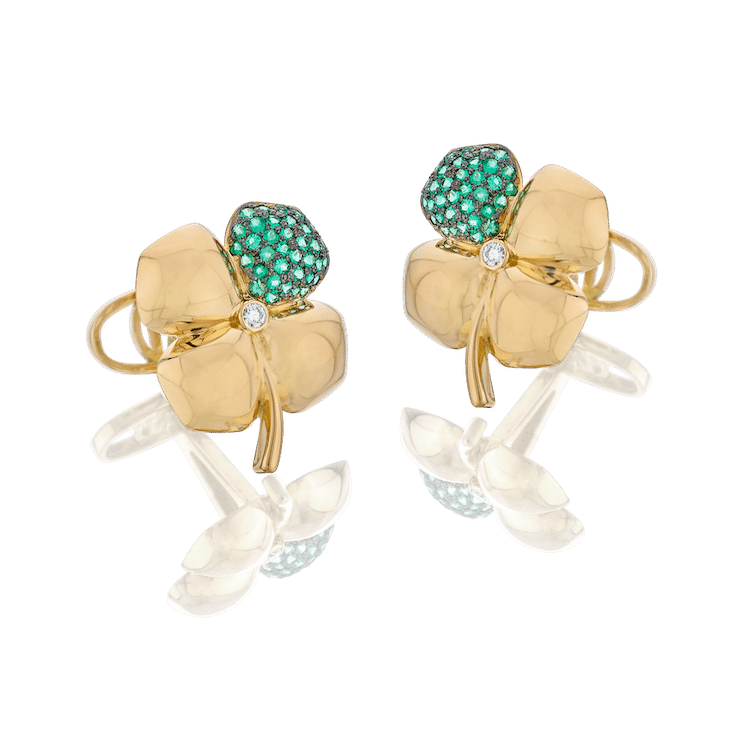 ‘The Clover’ is a refined 18K yellow gold pair of cufflinks, containing 2 diamonds and 70 emeralds. Classic never goes out of style. These cufflinks have a timeless design. They’re a unique intriguing gift that will last forever. ‘The Moonstones’ are a classy 18K white gold pair of cufflinks, containing 72 diamonds and 2 moonstones. Champagne is always a good idea. Always. So why not celebrate your love by bringing out the bubbles? ‘Diamond Bubbles’ is a sparkly 18K gold pair of cufflinks, containing 37 diamonds. Did you like these designs? Did you like these 5 unique Valentine’s day gifts? Good news: we’ve got plenty of other beautiful designs in store for you! Click the button below to explore our collections.